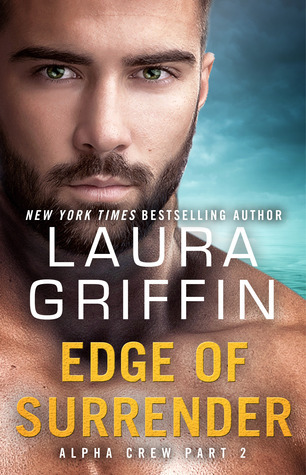 At the Edge by Laura Griffin is a 2016 Pocket Star publication. I was provided a copy of this book by the publisher, as an XOXpert, the official street team of XOXO After Dark. 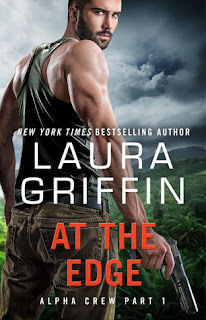 A new series by Laura Griffin! Who can resist that temptation? This novella length story is the first book in the Alpha Crew series and is centered around Navy SEAL Ryan Owen and Emma Wright. When a plane crashes in the Philippine jungle, Ryan and his team are commissioned to find the plane and rescue any survivors, which is how he meets Emma. Emma is the sole survivor of the crash, and while making their way back to the states the two forge a bond. But, the rescue mission is only the beginning. It seems Emma’s search for answers about the crash has garnered her some unwanted attention, which means Ryan must protect her, even if it means he must put his growing attraction to her aside. 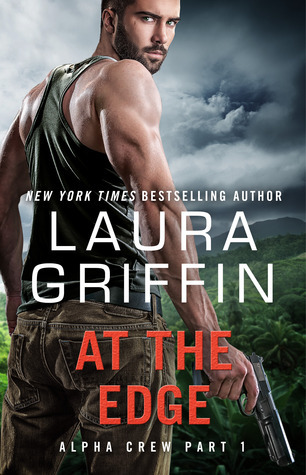 As always, Laura Griffin has written a scorching hot, action packed, romantic suspense story. 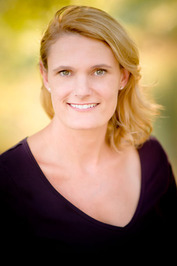 Awesome storyline, non-stop suspense, political intrigue, and hot Navy SEALS. What more can you ask for? This story is one of two parts, so be warned, there is a ‘to be continued’ ending, but “Edge of Surrender” is also available now, so there is no wait time. If this is any indication of how this series will play out, I can hardly wait for more! Ryan had one job: keep Emma safe at all costs. But after a night of passion, Emma takes off and Ryan soon realizes he’s not the only one looking for her. Can he figure out who’s after the beautiful government aide, and why, before she falls into the wrong hands… if she hasn’t already? 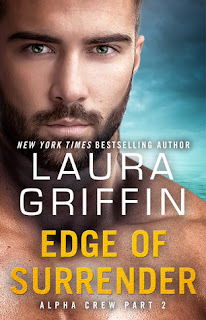 Edge of Surrender by Laura Griffin is a 2016 Pocket Star publication. I was provided a copy of this book by the publisher, as an XOXpert, the official street team for XOXO After Dark. This book picks up right where “At the Edge’ left off. Emma gets herself in a tight spot and Ryan comes to the rescue. But, from that point on, the plot really tightens up as Emma and Ryan begin to piece together the reasons for the plane crash and who was responsible. The action doesn't stop, with Ryan and Emma bonding emotionally and working together as a team to expose a shocking scheme while fighting for their lives. This couple is special and I liked how the author kept things real, testing Emma’s commitment to Ryan and seeing her rise to the occasion. This series is off to an outstanding start with a perfect balance between the romance and the suspense, great characters and an engaging, super tense plot, leaving me begging for more this one. PS: Be sure to read “At the Edge” first.